When you are a driver you have to be aware of certain things. You know you are not allowed to drive if you are drunk or if you are high. However there isn’t just one term, the commonly known Driving Under the Influence (DUI) for all violations, which might cause a bit confusion. In this blog we’d like to briefly tell you what other terms are there and what they mean. The most common terms to refer to so called “drunk driving” are DUI, DWI and OUI. The main difference between these three terms is the statutes of certain states that use either of them. Therefore, when you are looking for regulations or legal services for a specific state the relevant acronym needs to be used to find the appropriate laws or services. Below we will define these terms and the States that use them, so that you know exactly what to look for when you move or travel to a different state. This way you will be able to avoid confusion and be sure to find what you are searching for fast and well. DUI – Driving Under the Influence is the most popular acronym that is commonly known as drunk driving. However the latter is more associated with the high consumption of alcohol – being drunk and being intoxicated could be different. Easy example would be a person who has received low amount of alcohol but it can only be proven by the amount of alcohol in the blood – such person will not colloquially be considered drunk. While a person that drank enough alcohol, so that without any test it is obvious that he or she is under the influence and would be considered drunk driver. The influence can be brought from any drug, alcohol as well as other substances. 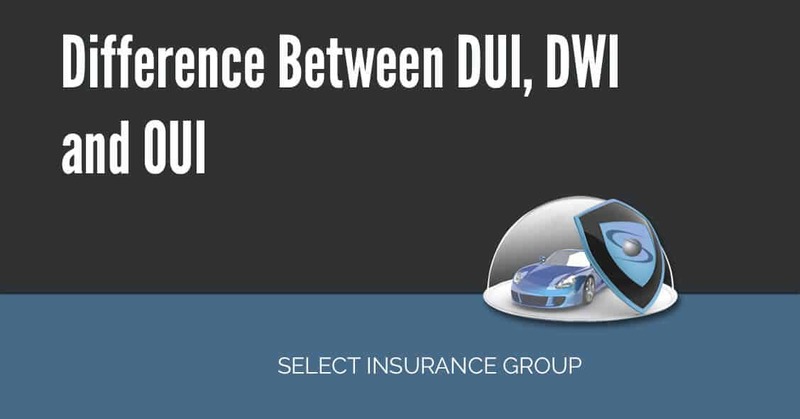 What is DWI and Where Is It Used? DWI – Driving While Intoxicated (also used to refer to “Driving While Impaired”) is the same type of term as DUI. This acronym is used in the States of New York and Texas. Alike DUI, Driving While Intoxicated (or Impaired) also means driving while there’s certain drug (alcohol, substance, plant material, impairing aerosols, etc.) in the bloodstream that hinders the ability of driving safely. What is OUI and Where Is It Used? OUI – Operating Under the Influence is the acronym most commonly used in the Northeastern States – Massachusetts, Maine and Rhode Island. The choice of this term was defined by the concept that the vehicle is “operated” and is more precise as well as broad, than “driving”. If we take closer look to each of the regulations on DUI/DWI/OUI we will notice that almost all jurisdictions criminalize act of “operating” a vehicle or being in the state of “actual physical control” of it. Driving is much narrower concept, which means having a vehicle in motion. However in reality the case-law as well as statutes suggests that a person can be charged with DUI, DWI or OUI even when the transport is not in driving and is stopped in case the ignition key is present and the location of the vehicle is adjacent to the pavement. Such a state (when the driver is even asleep in the vehicle) cannot take place while “driving” which is why certain states opted to use more appropriate and inclusive term – “operating”. Ohio uses DUI together with the acronyms OMVI – Operating a Motor Vehicle While Intoxicated and OVI – Operating a Vehicle While Impaired. But such usage appears mainly in the case-law, not the statutes. Oregon opts for DUII – driving under the influence of an intoxicant. The term “intoxicant” having inclusive meaning to all substances or anything rendering capacities of a driver to be limited or when operating a vehicle becomes a risk to others. Colorado and New York use an additional term DWAI – Driving While Ability Impaired, together with main term of DUI or DWI respectively. This term refers to a lesser offence usually for the offenders that have not been charged with the same violation before. Wyoming uses the acronym DWUI – Driving While Under the Influence. These terms and abbreviations may seem irrelevant, since all of them can be put under the umbrella of most common – DUI, however if you ever need to search for something specific in a certain State, this blog will surely come in handy and even necessary. If you required to file SR22 insurance – our licensed agent can help you with best prices on a market.